The last 6 months have been rough on my body. I injured my knee running a marathon, got undercut playing basketball and hurt my tailbone, sprained my ankle several times, and most recently, my elbow has been killing me. The pain finally got to the point that I went to the doctor to check it out. He took some X-rays and said it looked like it was a bone spur rubbing on the soft tissue around my elbow. He recommended I get an MRI to make sure there was no damage to my triceps muscle. I'd never had an MRI before so I was kind of looking forward to it. When I checked into radiology they had me change clothes into some hospital scrubs for the procedure. They looked much cooler than the backless nightgown look I had feared. I was then taken to the room that housed the giant Stargate machine an was asked if I was claustrophobic. Fortunately, I'm not scared of claustras, but I did confess my phobias of snakes and water. They assured me that they wouldn't put any snakes in with me or flood the compartment with water once I was inside. Before they guided me into the machine, they gave me some earplugs to wear and said I'd have to hold still for 30 minutes. When I asked if I could take a nap, the technicians laughed. I thought that was because I had made a clever comment. I was wrong. As soon as the procedure started, I realized why they laughed at my nap comment. I was anticipating background noise like Yanni or Kenny G, but I quickly learned that this was one of the loudest machines on the planet. Here is a list of some of the sounds it made while I was entombed in it. 2) Then a wood planer/chipper shredder machine started up. 3) Next, a noise that sounded like a fire alarm took over for several minutes. 4) After that, a police siren startled me, then proceeded to rotate through several variations. 5) Finally a high pitched noise you might hear in a techno song or a rave concert went off and on quickly before the entire process started over again with noise number one. I have a theory that an MRI only takes 3 minutes, but they like to see how long they can make people hold still while listening to obnoxious deafening noises. It's got to be the biggest inside joke on the planet. I'm pretty sure that all they do at radiology conferences is laugh hysterically while comparing videos of patients trying to hold perfectly still while being subjected to irritating noises. After a while, both of my arms fell asleep because of the awkward position I was in. I was on my stomach with my right arm raised and twisted. After experiencing this procedure, I have greater empathy for earthquake victims who are trapped under debris. The 30 minutes finally elapsed 3 hours later, and they slowly guided me out of this amazing machine. I could hardly get up since my arms had fallen asleep, and I was in pain from the extreme stretch I had been in. Despite the inconvenience of this procedure, I am grateful for the noisy technology and my good health. While I was there, I saw quite a few elderly patients waiting to be scanned who I'm sure had more serious problems than mine, and I was glad that my ailment was not very serious and was limited to elbow pain. By the way, if someone out there ever invents a silencer for an MRI machine, they could be a wealthy person. In case you were wondering, my doctor later reviewed the results of the scan with me and there was no surrounding muscle damage. I also learned that my entire skeleton is bonded with adamantium! I've had one MRI in my entire life. I do not remember this. I was to concerned I would freak out. You and Wolverine have a lot in common! I have had elbow pain for a few weeks now. I can sympathize! I thankfully have never needed an MRI, but if I ever do, I plan on wearing lots of metal and putting a few pounds of ball bearings in my pockets to see what happens. You're pretty lucky. When I had an MRI they did fill it with water, and so I had to hold still and hold my breath, AND I had to pee, which I really didn't think was fair at all. Mine made me think of little elves whacking a steel tube with hammers at annoying intervals. I had vertigo at the time and thought I was being centrifuged. Several community colleges and vocational schools train individuals specifically to work on medical machines. These individuals are called biomedical equipment technicians. Many hospitals and large clinics have their own technicians on staff so that a malfunctioning machine can be serviced immediately. 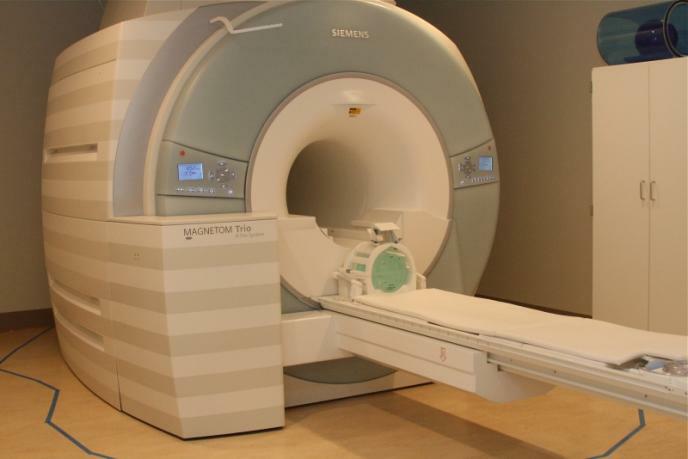 I'd love to experience the MRI someday. Nitrile Gloves- Not to be rude, but was that a comment or are you a computer just making random comments. I will have to check out your blog.